Take a look back at a very sweet 2018 with the year’s most popular recipes! 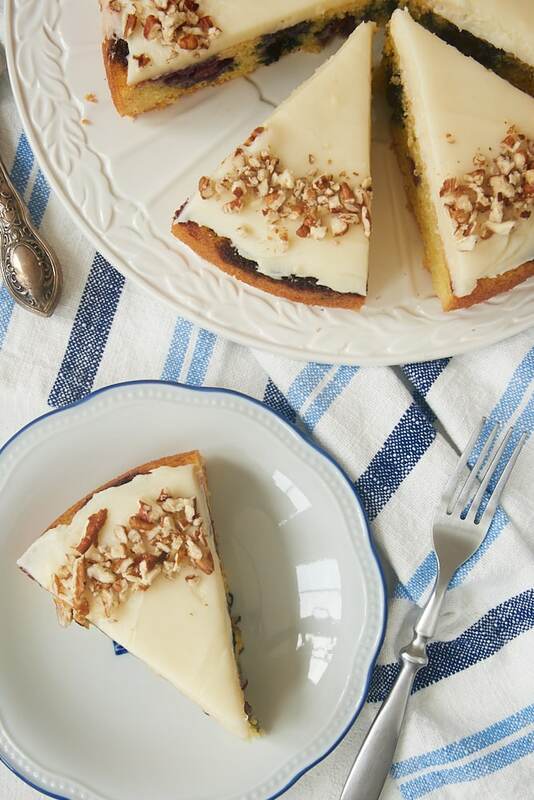 It’s sometimes hard to believe how long this blog has been in existence, but this year began my thirteenth year of sharing my baking adventures with you. And it was a very delicious year indeed! In the spirit of an impending new year, I’m looking back at BoB’s highlights of this past year. 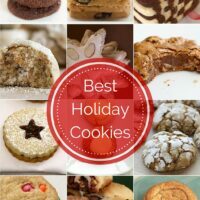 Below, you’ll find the most viewed, most shared, most liked, most saved recipes I shared with you in 2018. We’ve got cakes, breads, a pie, and more! 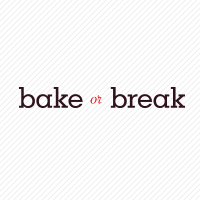 You have my sincere gratitude for making 2017 another great year for Bake or Break. I truly hope you found plenty of baking inspiration here, and I look forward to sharing more baking fun with you in 2019! Happy baking! And happy new year! I haven’t always loved citrus desserts, but I’m making up for it now that I do. 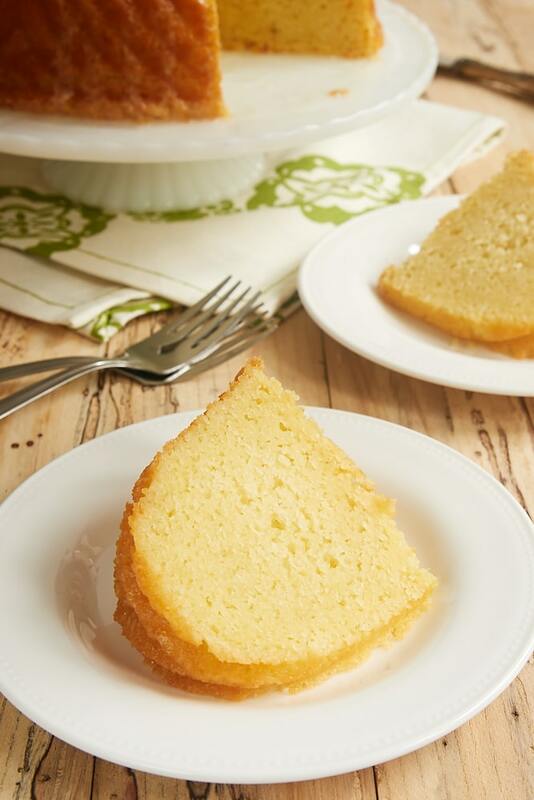 This Key Lime Bundt Cake is a delicious celebration of sweet, tart limes in a simple to make cake. 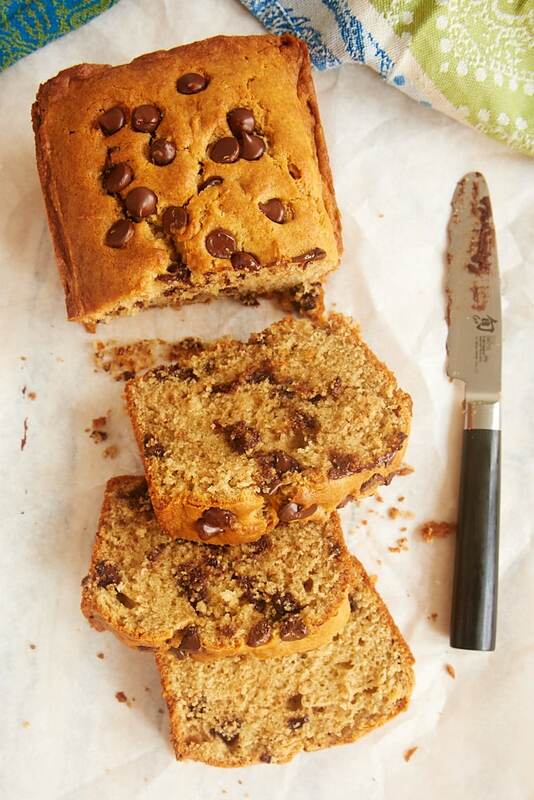 Chocolate Chip Peanut Butter Bread is just the kind of thing I crave for an afternoon snack. Chocolate and peanut butter are two of my favorite flavors, and they make for a pretty darn good quick bread. Try it slightly warmed for an extra special treat. 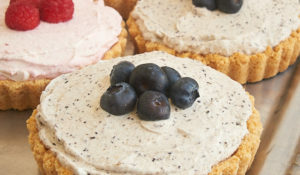 Blueberry Snack Cake with Cream Cheese Frosting is one of those super simple desserts that I want to make all during berry season. The frosting is a nice addition, but this cake is also really, really good without it. 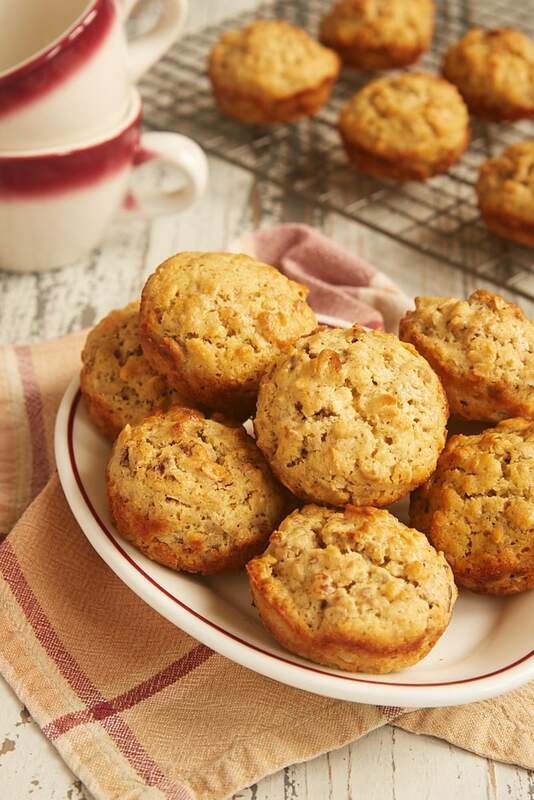 When you want a hearty, significant muffin option, these Oat Muffins with Nuts and Seeds are just the thing. 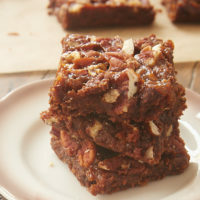 They’re chewy, crunchy, nutty, and just the right amount of sweet. 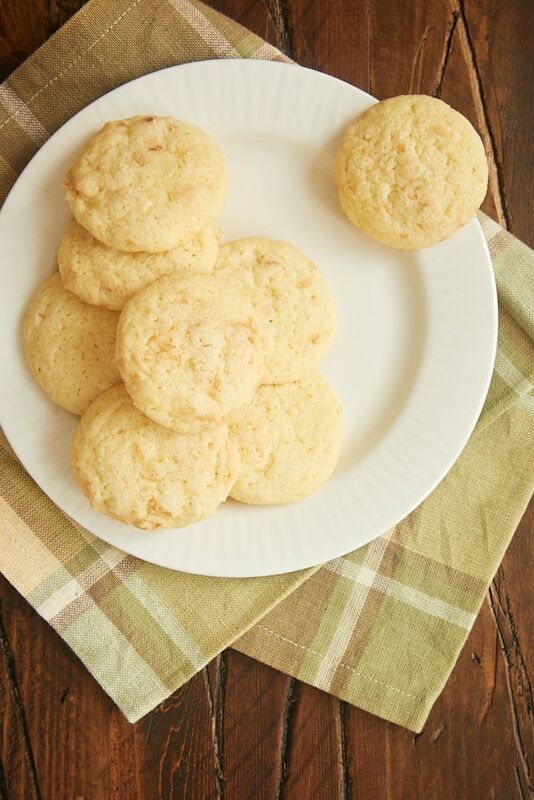 Lemon Coconut Sugar Cookies are sweet, delicate cookies with lovely flavor. 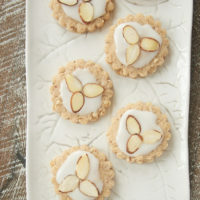 Bake a batch of these any time you need a little brightness in your day! 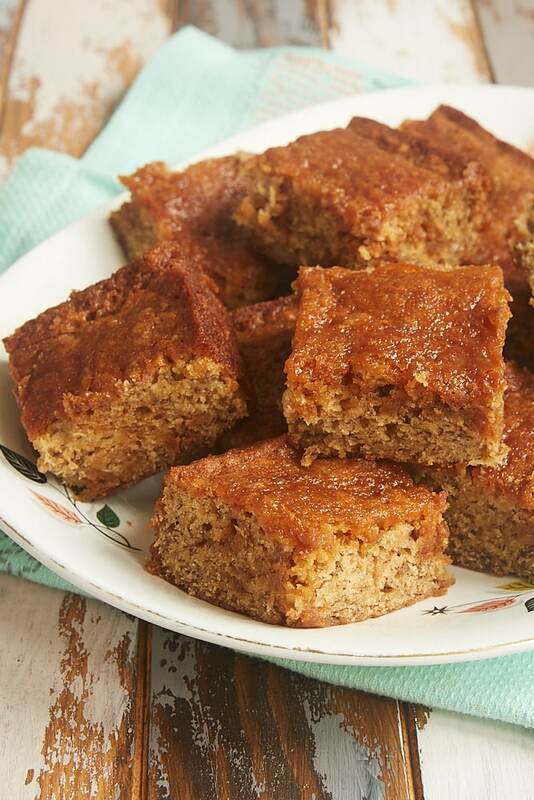 Dulce de Leche Banana Bars are a one-bowl wonder! 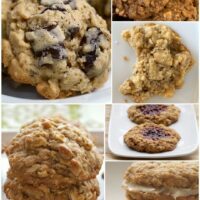 They’re so, so easy to make, and they have an amazing flavor and texture. These are a great anytime treat! 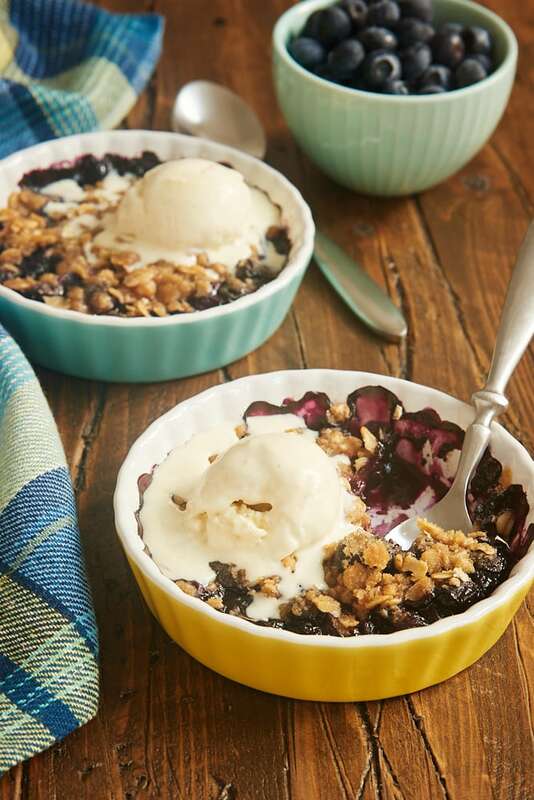 One of my favorite ways to make good use of a small amount of leftover blueberries is this Blueberry Crumble for Two. 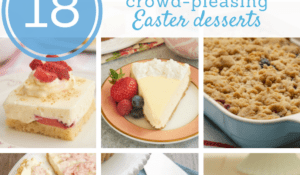 You’ll avoid letting those stray berries go to waste, and you’ll get a wonderful dessert for you and your favorite blueberry lover in the process! 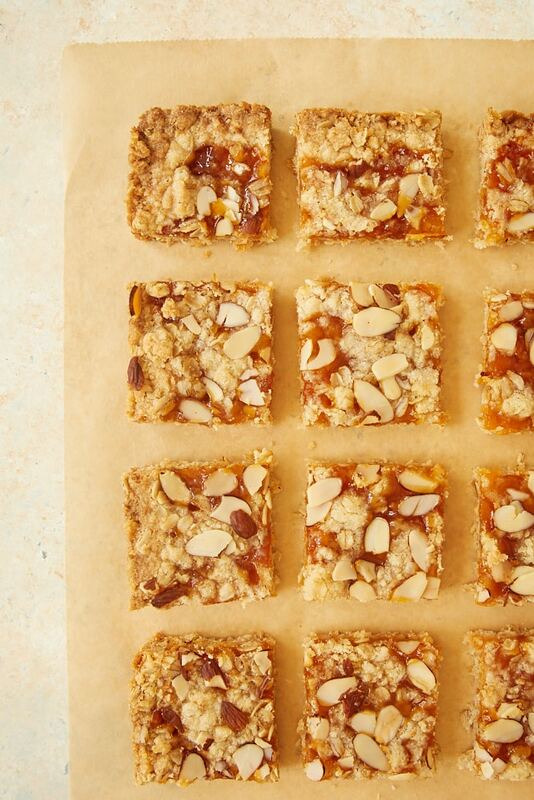 A simple crust and topping, some apricot preserves, and a sprinkling of almonds come together quickly and easily to make these Apricot Almond Bars. While the flavor is so, so good, you can also change it up easily by substituting different preserves or nuts. 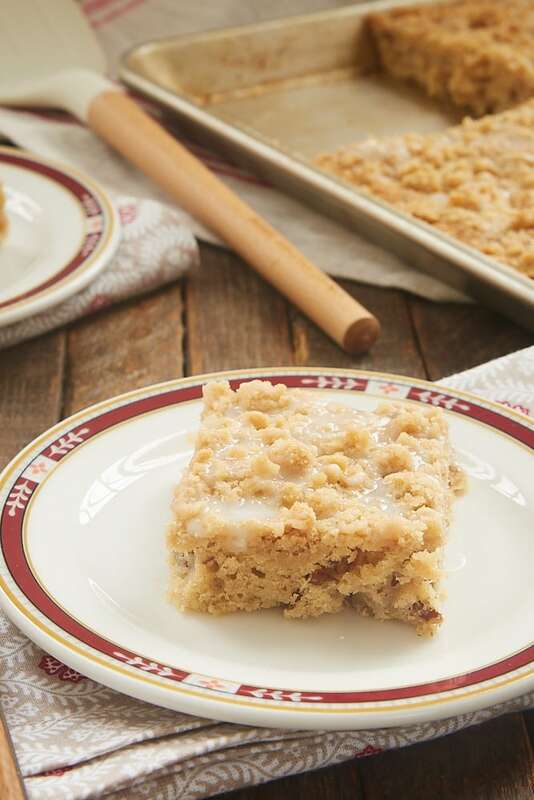 Apple Crumb Sheet Cake is designed to feed a crowd. 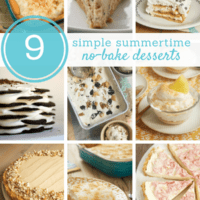 Baked in a half sheet pan, you’ll get plenty of cake to share with friends and family. With lots of apples, a cinnamon crumb topping, and a simple glaze, this is one cake you may find yourself making repeatedly during apple season. 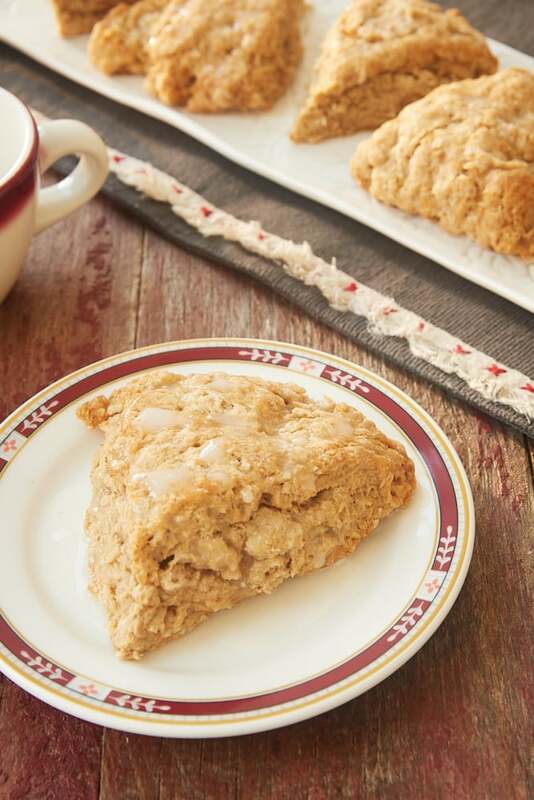 Cinnamon Oat Scones are a wonderful example of how delicious it can be to let simple flavors shine. These soft, slightly sweet scones have a lovely cinnamon flavor without any other competing flavors. 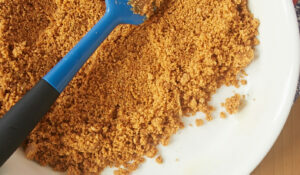 Plus, they’re very quick to mix, making them a great choice for a sweet treat on a lazy morning. 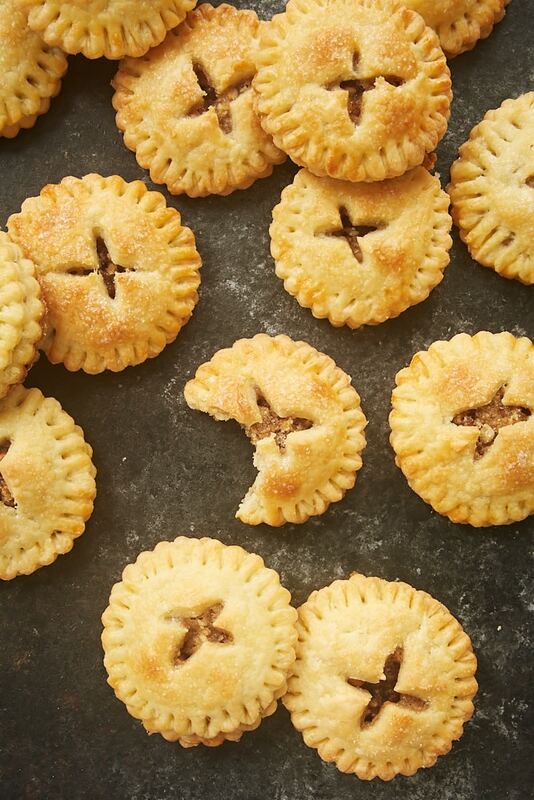 I love pecan pie in most any form, and these Pecan Hand Pies are no exception. The filling of these little pies is less gooey than traditional pecan pie, and it’s made with no corn syrup. And the pastry surrounding that filling is one of my all-time favorites. These are a big, big, win in my book! The first time I made this Cranberry Cream Cheese Bread, I knew it would become a regular fixture during cranberry season. 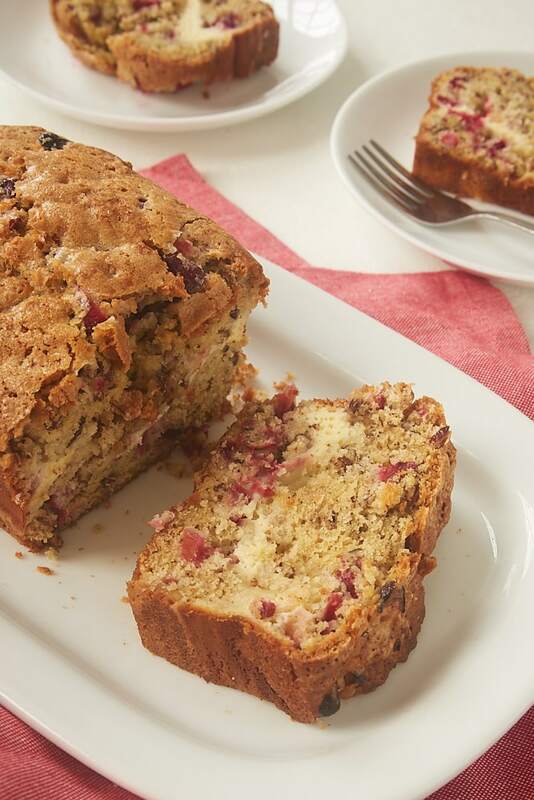 The bread itself is really, really good with plenty of cranberries, pecans, and a hint of orange. Add to that a ribbon of cream cheese, and it’s suddenly transformed into something pretty amazing. That’s a wrap on 2018, and I have to say that your favorite recipes from this year are among my favorites, too. 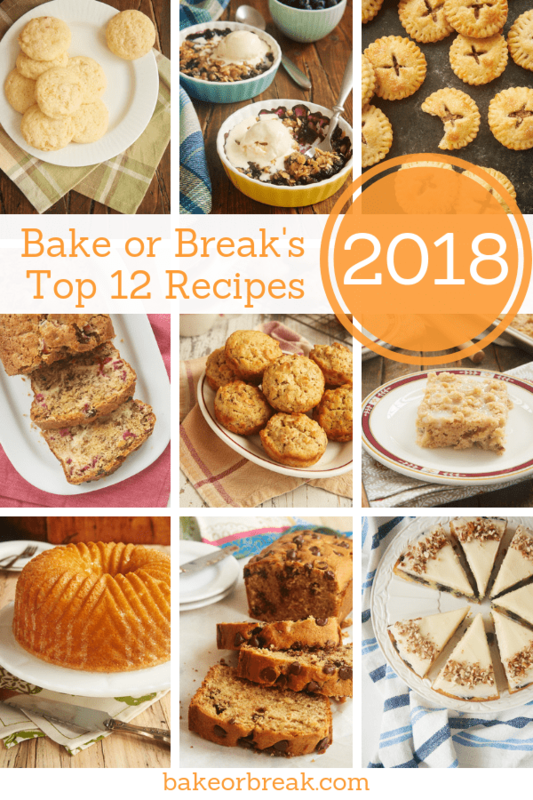 Do you have a favorite recipe from Bake or Break that you made in 2018? Let me know in the comments below! 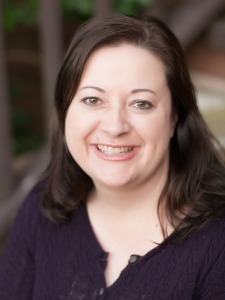 Thank you so much, Vicki! What a wonderful comment to see to kick off the new year! 🙂 Happy new year!